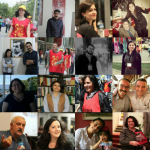 Lawyers Didem Ünsal, Aytaç Ünsal, Yağmur Ereren, Barkın Timtik, Ebru Timtik, Şükriye Erden, Engin Gökoğlu, Süleyman Gökten, Ozgur Yılmaz, Ayşegül Çağatay, Behiç Aşçı, Aycan Çiçek, Zehra Özdemir, Özgür Yılmaz were detained. Lawyers Ezgi Gokten and Ahmet Mandacı were released with probation. The president of ÇHD, Selçuk Kozağaçlı and his wife Betül Kozağaçlı who work in the same law firm were not arrested, but we were informed that their legal activities were restricted and their phones and computers were confiscated. We are particularly concerned about the situation of attorneys Barkın Timtik, Engin Gökoglu und Özgür Yılmaz. We fear that they are (again) subjected to torture. In the early morning of 12 September, a new police operation took place, culminating in the arrest of 16 lawyers. These lawyers are members of the People’s Law Office and have represented the activists Nuriye Gülmen and Semih Özakça, who are currently on hunger strike after they have been dismissed from teaching. Their trial took was opened on 14 September. As we have been told, the number of lawyers under criminal prosecution in Turkey raised to in Turkey is now 1 343 538, who have been arrested under the pretext of the coup attempt in July 2016. We urge the Turkish Government to ensure that the 16 lawyers named above are released immediately, because we are convinced that they have been detained solely on the basis of their professional activity as lawyers. We call for all necessary measures to ensure the physical and psychological integrity of lawyers in Turkey and their ability to carry out their professional duties without fear of repression, disability, intimidation or harassment. We express our concern about the situation in Turkey, where the government harasses lawyers and persecutes them by the tribunals used as a weapon of repression. It seems quite obvious that the lawyers are purged due to the excercise of their professional duties as defence lawyers. The European Association of Lawyers for Democracy and World Human Rights ELDH together with the European Association of Democratic Lawyers EDL, The Republican Lawyers Association, the Democratic Lawyers Association, the Berlin Bar Association, the Berlin Criminal Defence Lawyers Association, and the Day of the Endangered Lawyers Foundation express their strongest concern about these new arrests as well as all previous ones. 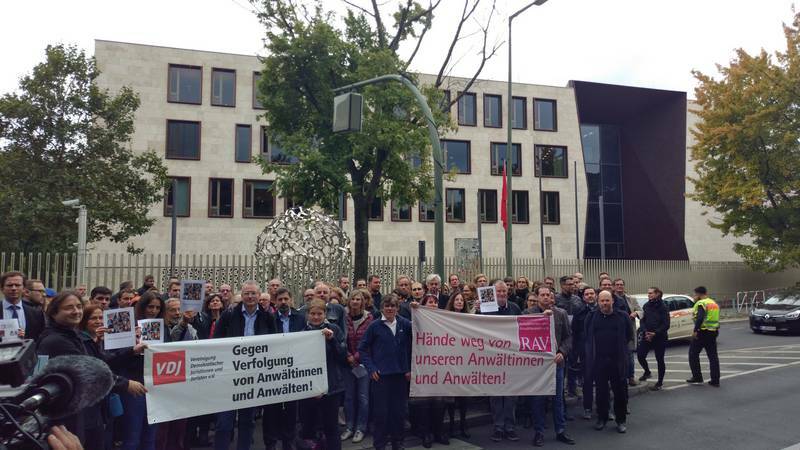 ELDH, the European organisation of which the ÇHD is a member, protests against the arrest of the lawyers and demands their immediate release. The Secretary-General of the ELDH points out that Turkey has in many cases already prevented lawyers from defending political opponents in court through the use of criminal proceedings, detention and other repressive measures. The Turkish Government is thus violating not only its own laws, but also the European Convention on Human Rights and international law.